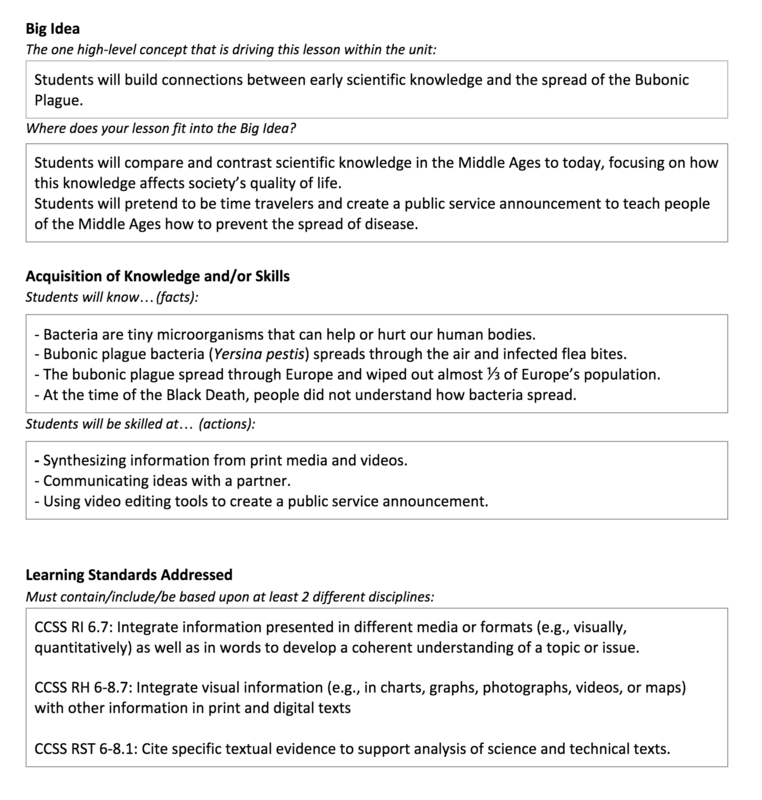 I teach 7th grade science, and I have a list of Next Generation Science Standards to address throughout the course of the year. My students arrive to my class, learn science, then leave to focus on another subject. I often do not know what they are learning in their other subjects unless I ask. Thankfully, I also teach AVID (college prep elective) and support students in their content-area tutorial groups twice per week (watch a tutorial here); this keeps me up to date with what is happening in other classes. Currently, there is a group of teachers at my school interested in shifting to a school-wide team teaching model, where students will be placed with at least a common English, science, and history teacher. Within these teams, the teachers are able to meet on a regular basis to plan cross-curricular units, lessons, and projects that connect major topics and themes they cover. Not only does team teaching benefit students academically, but also emotionally; it is easier to identify and support struggling students when their teachers meet regularly. 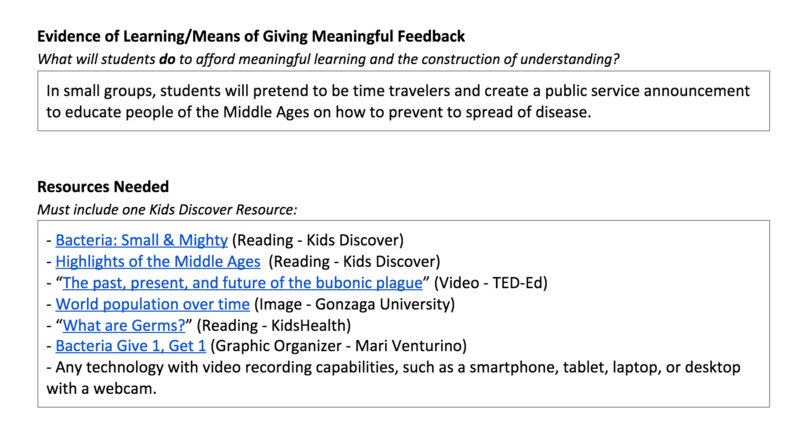 When designing this cross-curricular science and history lesson, I considered the topics covered in our middle school’s history curriculum and how I can tie them in with science. 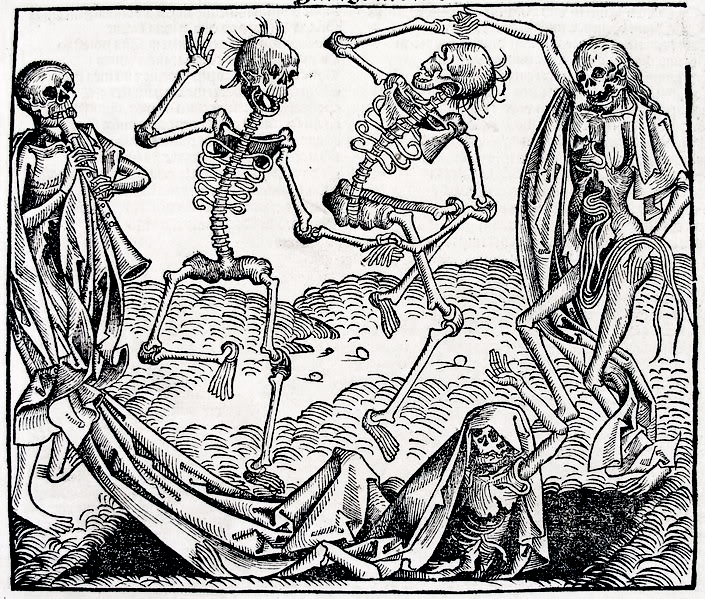 My students always seem highly interested when they learn about the Black Death epidemic of the 14th century. Interestingly, they learn about this during the peak of our winter flu season, making it an excellent tie in to not only our science and health standards, but also the world around them. 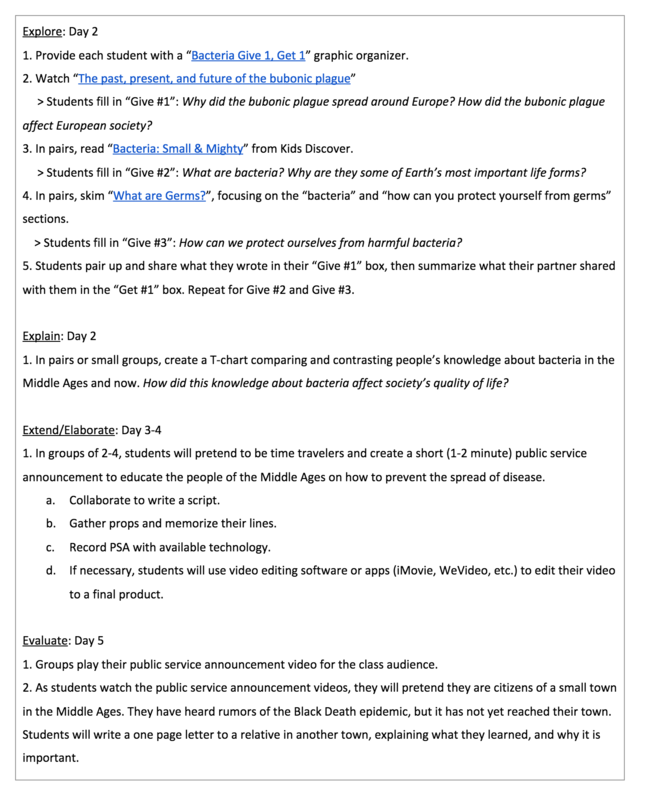 Below is Ms. Venturino’s cross-curricular lesson plan. You can find a Google Docs version here, or by clicking on the document below. 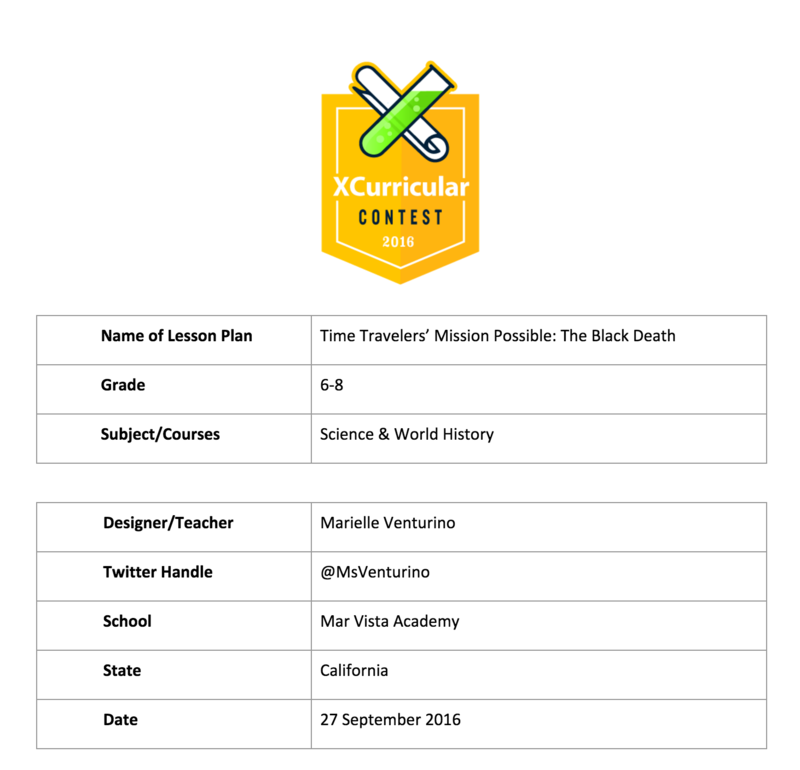 Our Cross-Curricular Contest is going on until October 31st. If you’d like to enter your own lesson idea into the contest for a chance to win some amazing resources for your classroom, learn more here!